I have a sweet tooth so I asked if I can create one with bakeries! Here are my 12 favorite bakeries in the Los Angeles area, from where to get cakes to baguettes to cream puffs. I'm not a vegetarian but I do like to eat healthy sometimes, especially after a week of indulgent meals. Here are my top 12 vegetarian-friendly restaurants - some of which are vegetarian or vegan, some of which are not but simply serve amazing vegetarian dishes. 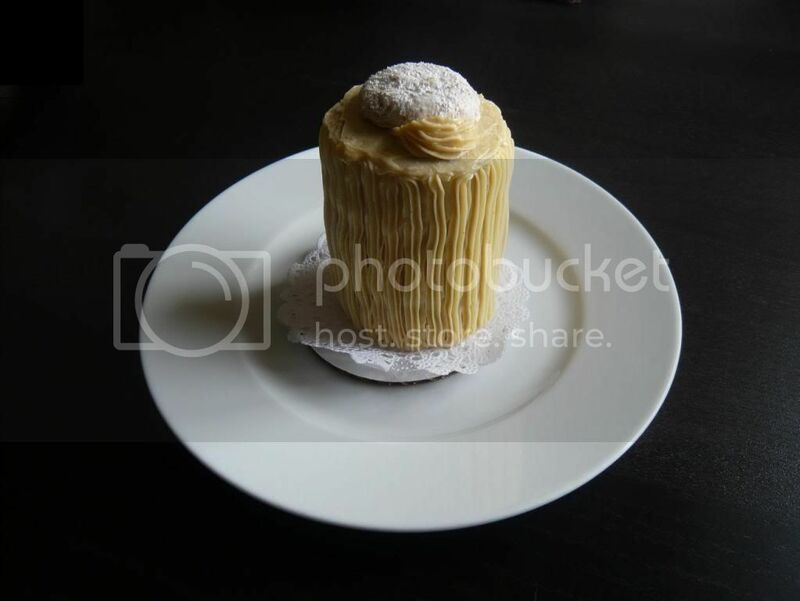 Extraordinary Desserts (San Diego, CA): Pretty Ordinary? Extraordinary Desserts was one of the places I was pretty excited about trying in San Diego. Finding out that they stay open late and close to my hotel, I drove straight there from LA. 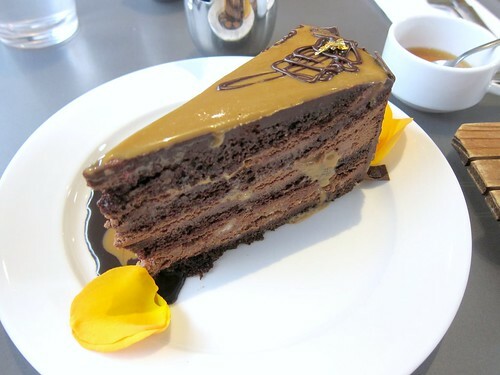 Of course I had to try their famous Dulce de Leche cake, which had appeared Food Network's show "Best Thing I Ever Ate". It was great. Moist, decadent. Big. The caramel flavor came through even among the dark chocolate. Was it the best cake I ever ate, though? I don't think so. 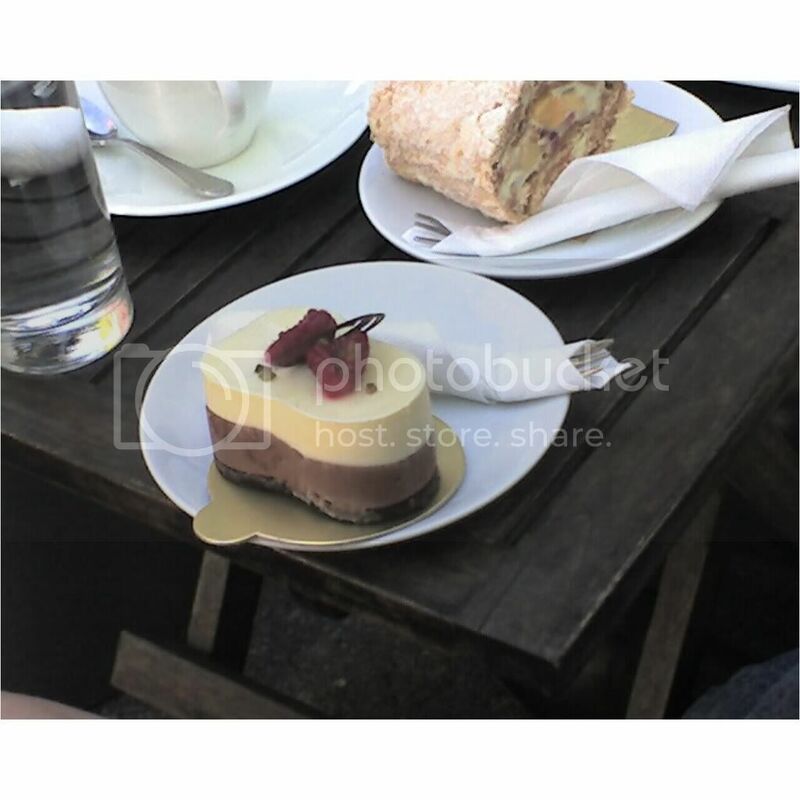 Still, I enjoyed sitting there reading while eating the cake and drinking tea. 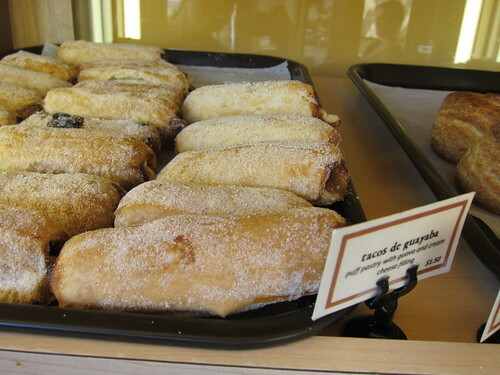 But I also got some pastries to go, pointing things from the display case, and this apparently wasn't the best move. The pastries seem more expensive than the cakes, considering the portion size, but that's not a big deterrent if they are truly "extraordinary". I ordered a croissant garnished with almonds, expecting a flaky almond croissant, but the back half of the pastry turned out to be brownie-like. Huh? 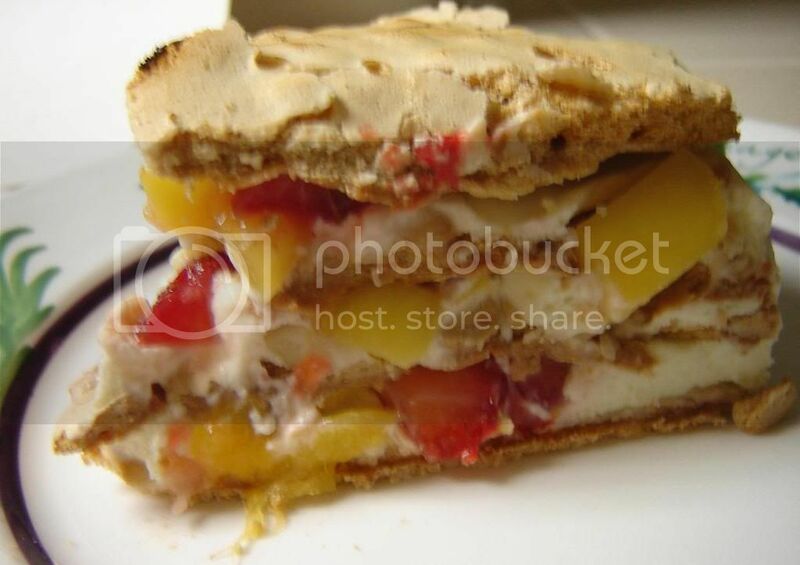 The danish with pineapple and cream fared better. The pastry was flaky and the sugar-coated upper crust was crunchy. My first bite with the candied pineapple and the cream was delightful, but apparently they had only put pineapples at the ends while the middle filling was all cream. I call that false representation. 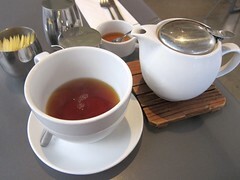 One thing I was happy to find is their extensive list of Mariage Frere's loose leaf teas. I tried the strangely-named yet quite delicious Tahiti-iti (vanilla beans blended with premium Darjeeling). I would love to just sit by the window drinking tea and reading. I think all the hype about a particular place just brings more disappointment when it doesn't live up to it. 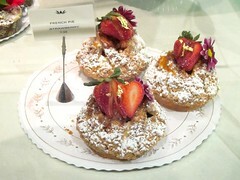 The cake was good but didn't seem all that special to me and the pastries were both disappointing and expensive. It doesn't warrant a special trip but if I'm wandering around San Diego and have free time, I'd still come back here and have some tea and cake. 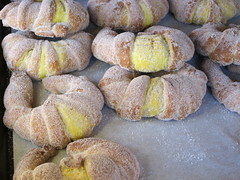 This East LA institution has finally moved west with its opening of La Monarca Bakery Santa Monica. 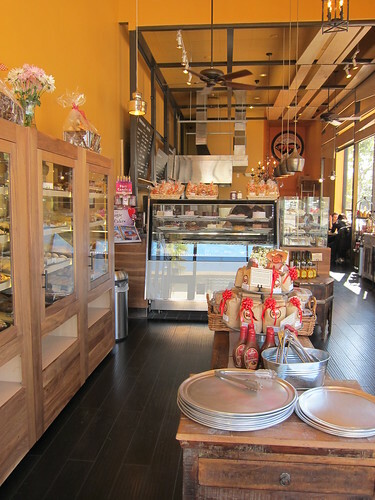 This place fits surprisingly well with the Santa Monica with its healthier pastries (low butter, low sugar, nothing is fried, vegetarian options) and the price is lower than most bakeries in the area. The executive pastry chef Alain Bour is actually a France native and trained, and he combines classic techniques with Mexican flavors, like their croissant filled with guava paste or dulce de leche. 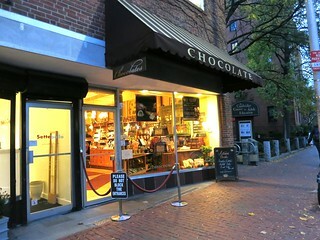 Browsing their pastry case may be overwhelming (it's self-serve), so here are some suggestions. 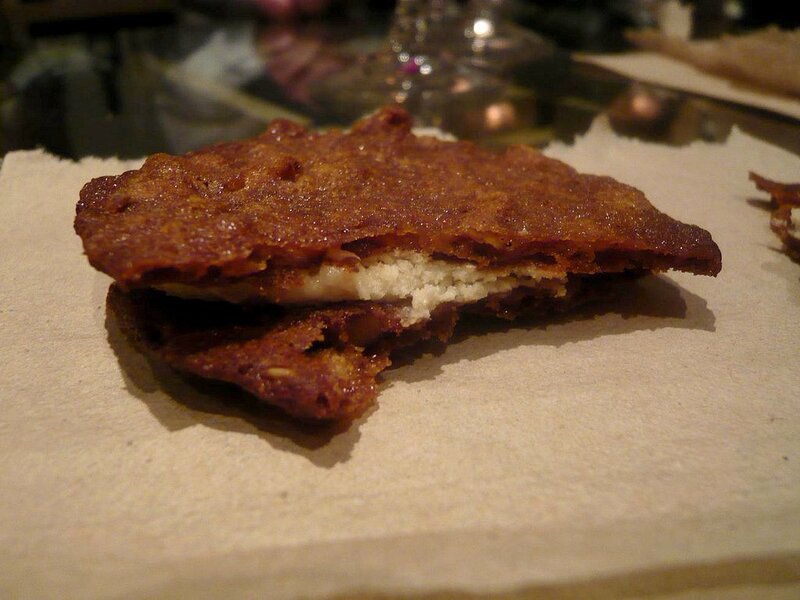 Make sure you try the tacos de guayaba,a sugar-dusted puff pastry filled with guava and cream cheese ($1.50). 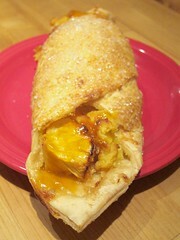 It's a different style but it gives Porto's guava cheese roll a run for its money. The pastry shell isn't the flaky type and I do think I prefer the guava paste here. One is never enough. Their pan de elote is a sweeter version of corn bread and also worth a try. 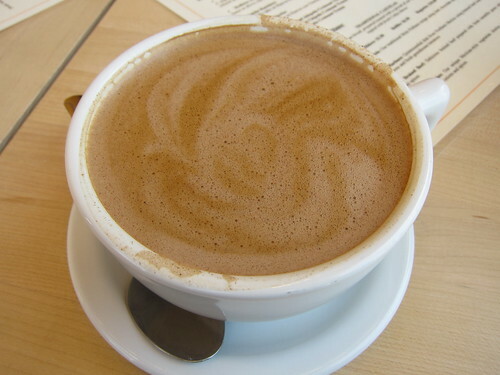 Also try the Cafe Oaxaca ($3.75), made with espresso, mexican hot chocolate, and steamed milk. They have free wi-fi and you can count on me coming here to work over some cafe oaxaca. For the lunch crowd, there are different types cazuelas (Mexican claypot stew) served as sandwiches. 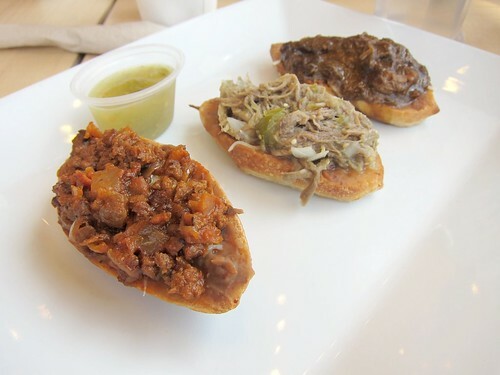 Choose between Poblano chicken mole, Salsa Verde braised beef, or even a vegetarian chorizo, then choose your bread size. Some of you already know Cake Monkey. Some of you think you know Cake Monkey from their cakewiches and Yo-hos from Umami Burger, or their maple oatmeal cookies Li'l Merris available at Silverlake Wine. But the real Cake Monkey is even better than that. Available by phone order are 3" individual-sized layer cakes, and these cakes are the ones raved about on Bon Appetit and LA Times. Here's the deal: Cakes must be ordered in advance and requires a minimum order of 9 cakes total AND minimum 3 cakes per flavor ordered. Meaning for each minimum order you can only try out 3 flavors. And with 12 different flavors offered, this is a hard proposition. And trust me, you don't need to eat 9 cakes anyway, so the best chance to order some Cake Monkey cakes is to 1) share it with at least 2 other people, or 3) splurge for a party. I did number 1 above and picked up the cakes at their bakery in Glendale (no storefront available) and below is my loot! 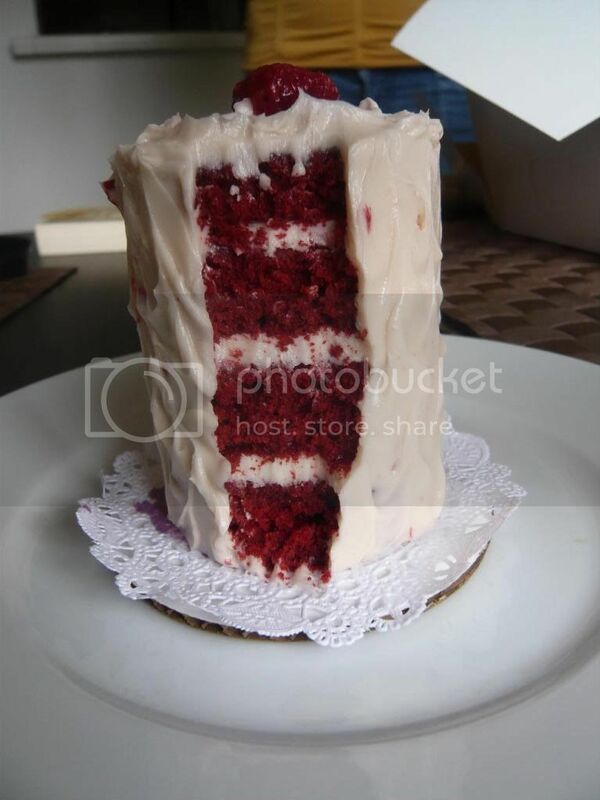 The same moist red velvet cake with creamy raspberry icing in between, just like its cakewich counterpart. But double stack that and instead of chocolate shell, think MORE raspberry vanilla icing that makes the cake even more moist. You really must love chocolate in order to be able to finish this, but if you do you'd love it. The intensity of the dark chocolate and the richness of the devil's food cake really get you hooked, though it's so rich and sweet that half a cake is more than enough for one sitting. But then again, I think that might be the case for most of their 3 inchers. Perhaps my favorite with its lighter flavor. It's lightly sweet making finishing a whole cake that much easier, and the nutty, creamy pecan dacquoise takes the cake to a whole new level. 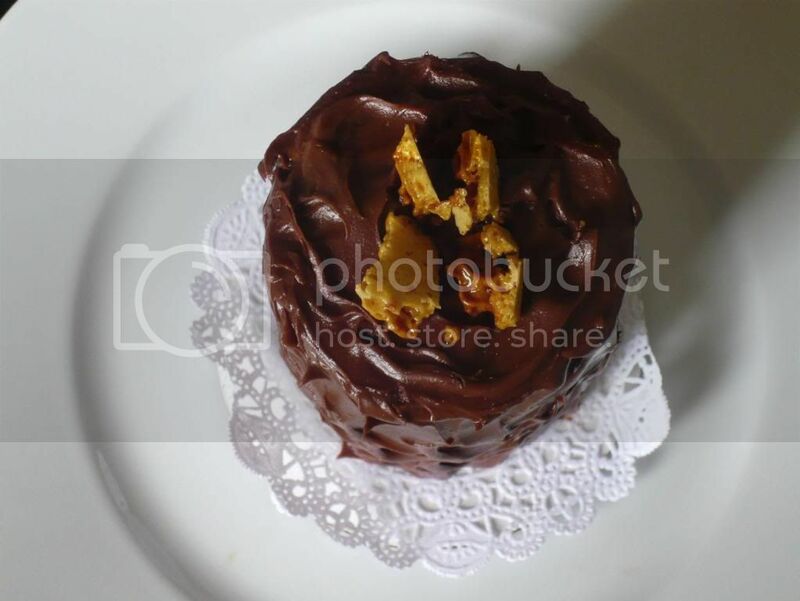 Alright, now here are some cake photos from Sweet Lady Jane on Melrose. 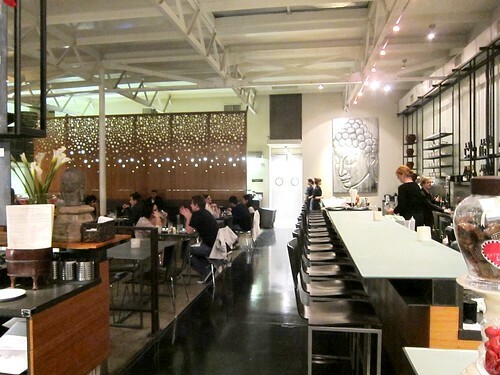 Another LA fave, though there has been some discontent with the service lately. 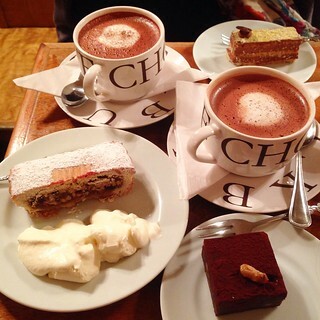 The cakes here are generally heavier, but I think their chocolate cakes are awesome. Here's the flan, which was de~li~cious, the coconut shavings were a nice touch! 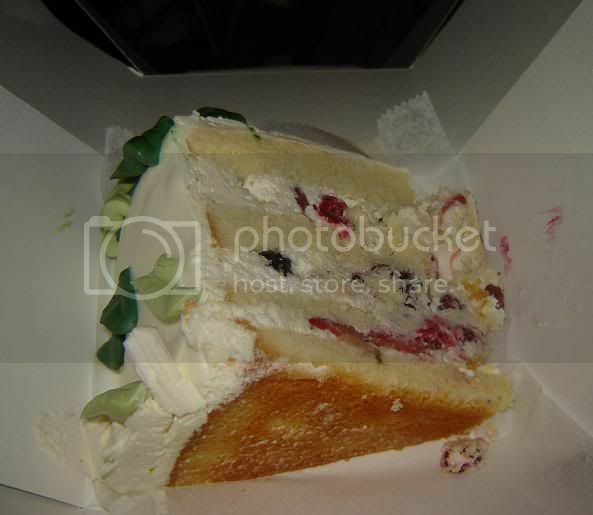 So for the meantime, enjoy these series of cake photos! 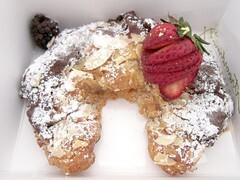 First one's from our beloved, beloved Porto's! 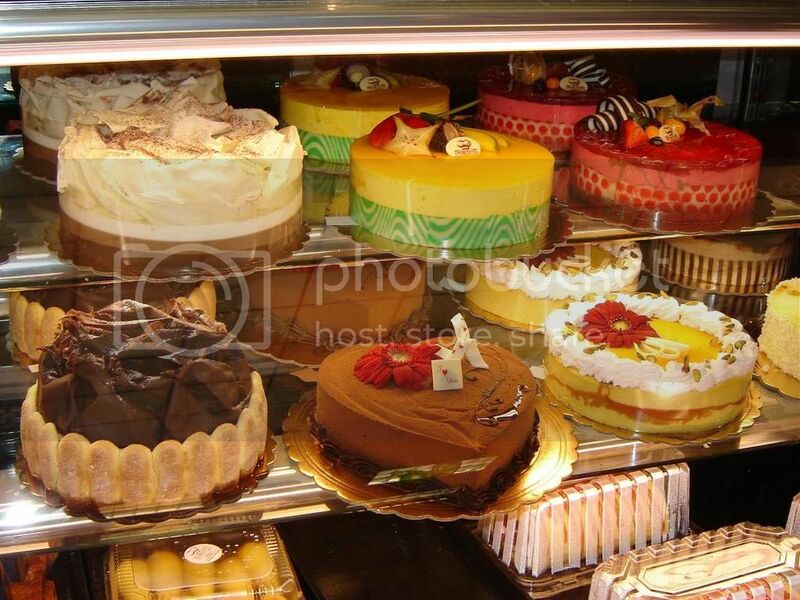 A Cuban bakery in Glendale, famous for its inexpensive, delicious goods! Their most famous items are the cheese rolls, the guava cheese rolls, and my faaaavorite papas y rellenos (potato balls). My birthday has become an annual excuse for me to order a whole cake ... for myself (minus a couple slices)! I ordered the Spring Bouquet from Jin Patisserie in Venice, who always does a really nice job decorating it also. 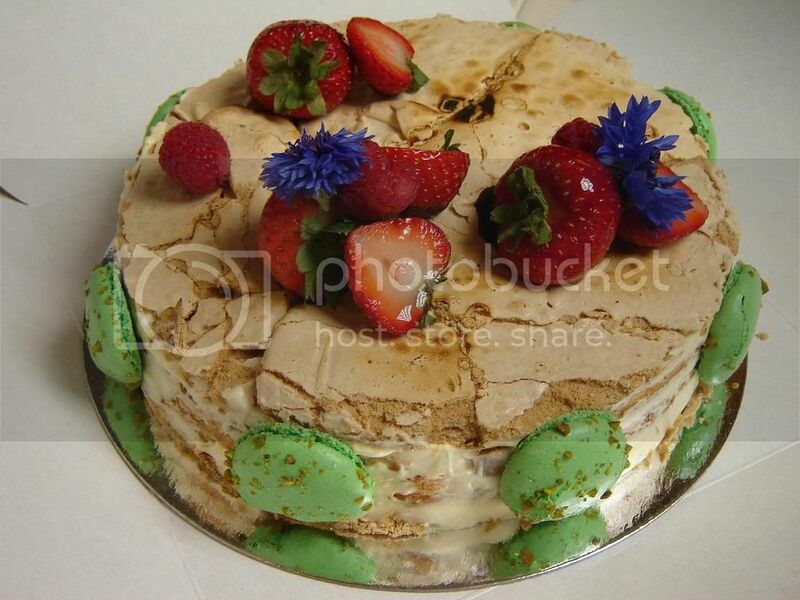 This cake is made with mango and strawberries and cream, with layers of meringue. Some people are shocked that I don't get a chocolate cake for my birthday, but this cake is just that awesome! A picture update. 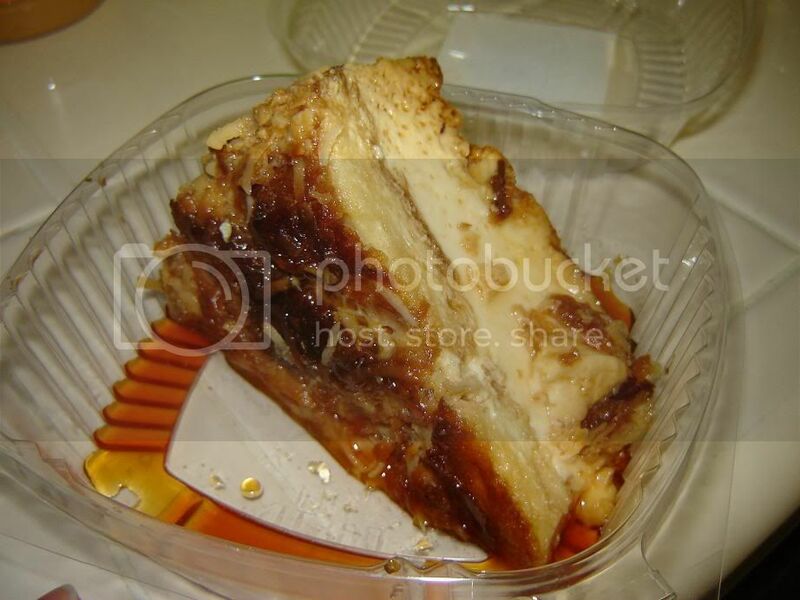 This is the Poire cake that I also like to get. A layer of light and creamy chocolate mousse, topped with layer of white chocolate mousse, with poached pear flambee.